India Loves Hollywood films, especially the animated ones. Finding Nemo was a hit in India. Even The Angry Birds, The Jungle Book, FindingDory have joined the Hitlist. Find Dory came out on Friday as it is doing well despite having Udta Punjab, The Conjuring 2 on the other hand. The Conjuring 2 theaters in overseas are going empty whereas, in India, they are going house full on weekends. You can see how we Indians love Hollywood films. See How Finding Dorry is performing at the boxoffice by the end of 5 days. On Friday, the movie managed to do a business of 1.02 crores. Friday’s collections were satisfactory. On Saturday, it was a different story, as FD bagged 1.98 Crores. Saturday’s Collections were good. On day 3, which was Sunday, the movie collected around 2.29 crores at the BO. 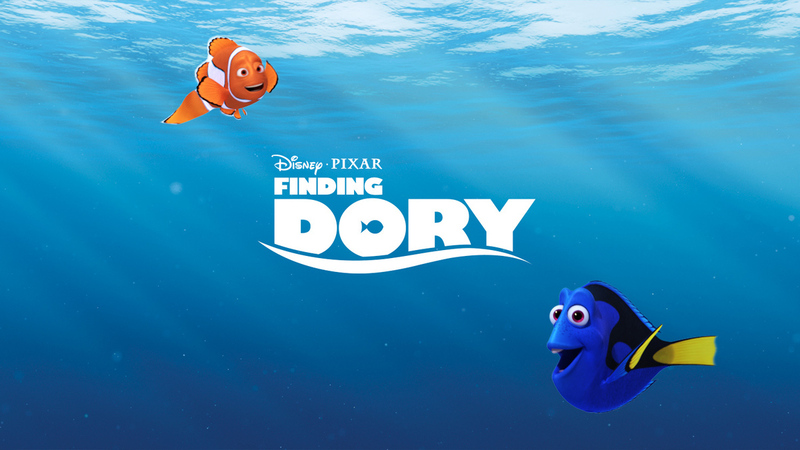 Finding Dory first weekend collections ended at 5.29 Crores with a 7.35 crore gross. On Monday, the film did a business of 1.80 crores and on day 5, it did around 1.50 crores. As they were weekdays, the audience didn’t rush to the theaters. They are expected to increase occupancy by the end of the second weekend. The flick 5 days Total BoxOffice Collection ended approximately at 8.59 crores. In the overseas it’s a different story, the flick got a 50.7 million Dollar opening. That’s huge! Stay tuned for latest Hollywood BO Updates. Do share the collection reports. Be a social butterfly.